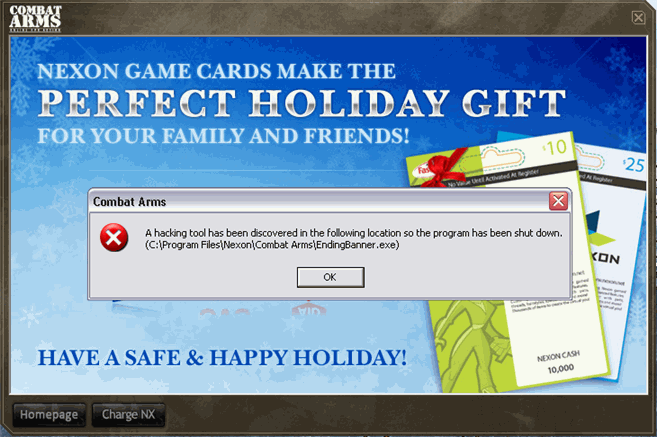 "This popped up after I exited from the game Combat Arms," Nathan notes, "the anti-hacking tool bundled with the game thinks its own post-game advertising is a hack." "This was all over the place in an internet cafe in Sydney," wrote Tony "I guess their computers couldn't handle furious status updates and pictures of drunk co-eds." 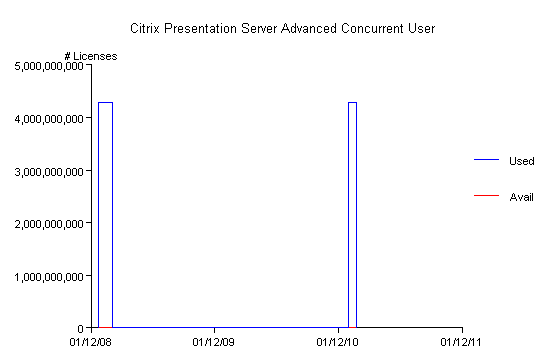 "I was seeing if we were over our concurrent Citrix licenses," Mark Pugh wrote, "looks like we are a little. Oops." 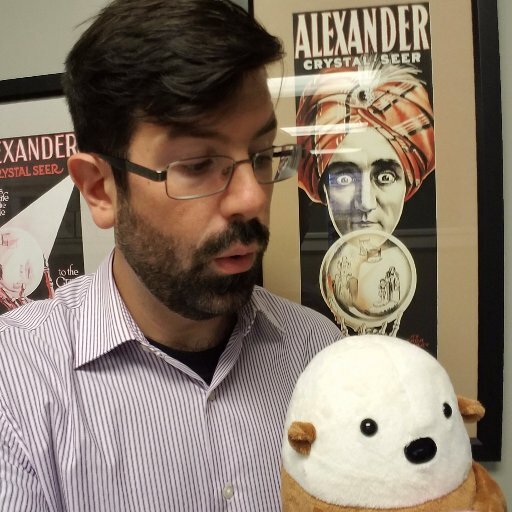 "I saw this in the Jena Javadocs for the 'Model' class," Jan-Helge Bergesen writes. 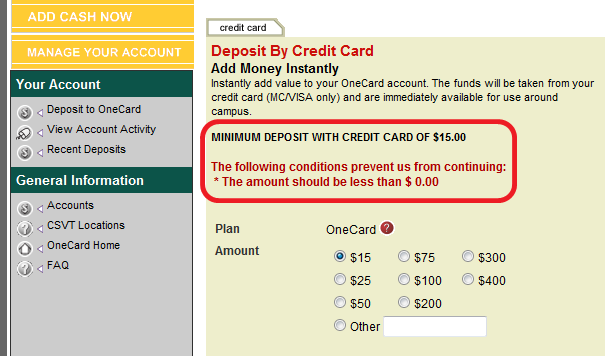 "This is an online form for adding money to your student card," writes Ben "the first criteria has been there for a while, but the second was showed up after I tried to make a $15 deposit."